Place floating candles in a decorative bowl and use as a centerpiece for your dinner table or to accent a buffet you’ve created for your guests. People use all kinds of bowls to float candles in, but my personal favorite is using clear glass bowls. That way, the light and moving water is reflected on your table. For another look that never fails to create drama, float a single floating candle in a martini glass and place a few of them around your table while you dine. It creates a great atmoshphere that your guests will love and also serves as a great conversation piece. 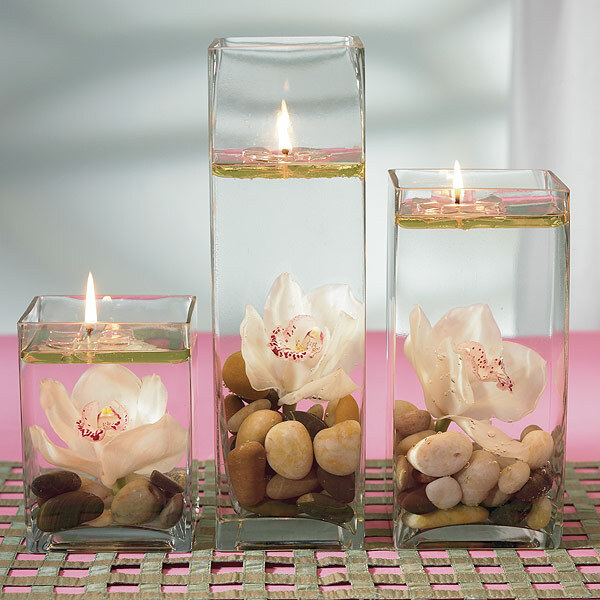 Another tip is to float rose petals along with your floating candles. I have found rose petals for sale at a candle store online that are sold just for this purpose. Click on the image below to buy some rose petals for your floating candle bowl.